Critics hated Downstairs in 1932, and audiences didn’t like it much better. Towards the end of the movie a heroic Paul Lukas thrashes John Gilbert’s character, calling him a “filthy skunk” and a “yellow rat,” while smacking him around the cellar of their master's home. The previous seventy-plus minutes have shown that these insults are accurate. 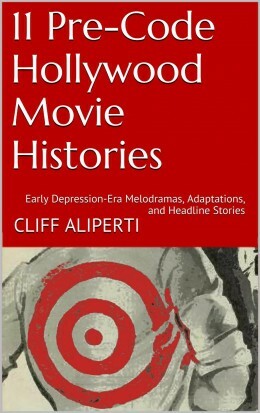 But a Depression-weary audience couldn't figure out why Gilbert, in a story he had written, in a movie he hoped would turn his career back around, had cast himself as such a reprehensible character. There’s nothing quite like a pre-Code scoundrel. We eat up the antics of these anti-heroes even more today than audiences did during the era. There’s a reality to their darker side that is often lacking in the traditional movie hero. 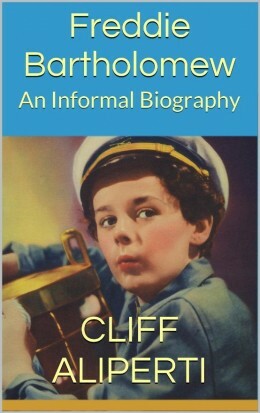 A 1932 audience was not immune, but Gilbert’s Karl possessed practically no redeeming qualities beyond his charm. Karl is an entirely self-interested character, whose flaws are only explained in bits of backstory delivered by a thoroughly unreliable source, Karl himself. On the surface, Karl has no particular goal beyond romantic conquest and, like everything else, he’s never really plays the game fair. To dig any deeper, we have to give him the benefit of the doubt when it comes to his past, but Karl is very hard to believe. Anna is angry because Karl has lied to her. Her husband, the head butler Albert, is out of town attending to their employers. Albert specifically told Karl to stay away from his wife while he was gone, but Karl told Anna that Albert wanted him to entertain her until he returned. Karl took Anna to dinner, plied her with wine, and attempted to seduce her. The final straw for Anna came when she discovered Karl had arranged for a hotel room without her consent. But Anna, who may be an even more interesting character than Karl, has a soft spot for this bounder, who has, as bounders will, given every effort to present himself to her in the best light possible. I’m tempted to believe Karl, except—well, watch Gilbert’s face during this speech. Around its midpoint, you can see him sense that Anna is weakening, and from there he plows forward to his goodbye, but doesn't seem to plan on going anywhere. Karl tells her that he’s so ashamed of what he’s done that he's going to leave the household. But before Karl heads out the door he takes one final shot at victory, requesting that she only kiss him goodbye. She does. Passionately. Karl emerges from Anna’s bedroom the next morning. A few feet out the door he crosses paths with Albert, who has just returned. Despite his deceit, this seduction shows Karl in his best light. Karl also romances a middle-aged cook (Bodil Rosing), but only as a ploy to get his hands on her life savings after he spots her fortune bulging in her sock. He eventually turns on her, viciously, but has made such an impression that she remains wrapped around his finger. He keeps a firm hold on his position as chauffeur by blackmailing the Baroness (Olga Baclanova), who, believing he would be discreet, allowed Karl to drive her to a rendezvous with her lover. After failing in her attempts to dismiss Karl, Baclanova winds up sharing a great scene with Lukas. His ever loyal Albert cannot quite understand why the Baroness will not allow him to fire Karl. The Baroness has to spell it out for Albert, who is more shocked that she’s admitting her guilt to him, her servant, than he is by either her infidelity or Karl's blackmailing of her. Virginia Bruce as Anna seems too detached in many scenes, perhaps the European setting led her to play the part with a little too much manner, but she also excels in a couple of key spots. First, her reactions to Gilbert’s Karl as he seduces her in the scene described above. But even better, opposite Lukas when she confesses her indiscretion with Karl. Albert can’t believe what he’s hearing. “You learned something vile from a rat,” he tells her. Then Bruce blazes, launching into a speech that is quoted almost whenever Downstairs is discussed, and for good reason. “All right, you good, good man,” she says, seething with venom. Albert is a good man, but it took Karl’s flattering advances and the resulting passion to show Anna that a woman may require more than goodness. She turns and leaves. Albert looks ill.
Albert and Karl will never see eye to eye on this point. Downstairs is from an original story by John Gilbert that the actor sold to his bosses at MGM for the small sum of one dollar, simply because he wanted the film to get made. It took a downward turn of fortune for Gilbert and four years passage of time before the project came to be in 1932, and while the result stands up well today, it didn’t do much for Gilbert’s sagging fortunes back then. “Jack’s idea of a happy ending is to drown himself in a barrel of wine,” said Photoplay’s review. But the New Movie Magazine also reported, “he’s the villain who is killed in the end,” and Motion Picture Daily said, “Karl drowns,” while Film Daily provided even fewer details, but still made it clear that Karl met his death in the end. That’s how Gilbert wrote it but, according to his daughter, Leatrice Gilbert Fountain, MGM changed the ending after theater managers complained (224). How did Karen Morley find her way into this post? Upstairs we aren’t privy to much beyond the Baronesses indiscretions. The Baron (Reginald Owen) is pretty much a harmless and spoiled upper class buffoon, who provides a few instances of comedy relief. Downstairs, beyond Karl’s alternate flirting with and tormenting of the cook, Sophie (Rosing), the movie confines itself to the interactions between its three main characters, Albert, Anna, and Karl. As mentioned above, Virginia Bruce runs mostly cold, but then oh-so-hot a couple of times, as Anna. Paul Lukas provides his usual professional performance and is largely portraying the bland “good man” that his wife will eventually damn him for being. John Gilbert provides almost all of the fun as Karl. Gilbert and Bruce only met after she tested for the part of Anna, but they announced their engagement before the movie was even completed. They were married August 11, 1932, shortly after Gilbert’s divorce from Ina Claire was finalized. Virginia Bruce became Mrs. John Gilbert IV in the newspapers and, very often, the promotional material for Downstairs. Gilbert’s Downstairs was adapted for the screen by Lenore Coffee and Melville Baker. Monta Bell directed. The film premiered in New York just days ahead of the Gilbert marriage, August 6, 1932. Downstairs had cost MGM almost half a million dollars to make, but it didn’t make back half that cost during its run (Golden 233, 240). Despite a few good reviews, the movie was considered just another Gilbert flop when it came along in 1932. I agree with Gilbert biographer Eve Golden’s assessment that Downstairs made a mistake in its setting, though I don’t think it was “the only misstep” (240). The European setting adds a fairytale-like quality to the outdoor wedding at the open of the movie, but isn't noticeable beyond Lukas’s accent after that. It is Mick LaSalle who succinctly nails the problem for Downstairs in his Dangerous Men , when after discussing the negative qualities of Gilbert’s character, he surmises, “Good plan, wrong century” (127). The Depression-era audiences enjoyed their on-screen cads, but unless these characters ultimately displayed some sort of redeeming quality, they were used to used to seeing them meet their comeuppance in the end. Even my own pet example, Warren William, in his best movies of the era may have been every bit as callous as Gilbert’s Karl, but he was usually blowing off steam in a breather from his battles against the Great Depression. Karl is completely self-interested. He might have a tragic past, and he may actually love Anna, but Karl’s only goal is a better life for Karl. We’re more forgiving of Karl today, especially because so much of his banter is witty, naughty, or simply, cold, in a manner that we’ve come to accept as realistic. Gilbert might have fared better with 1932 audiences if MGM had simply honored his wishes and let him drown in a wine vat. Speaking from the 21st Century, I'm cynical enough to be glad to have Downstairs as it exists. For another view of Downstairs see Danny's write-up at Pre-Code.com. Downstairs is available from Warner Archive in their manufactured-on-demand (MOD) Forbidden Hollywood Collection: Volume 6 set of DVD-Rs. Also featured in the set are Mandalay (1934) with Kay Francis, Massacre (1934) starring Richard Barthelmess, and The Wet Parade (1932) starring Walter Huston among others. "Forthcoming Films." New Movie Magazine, September 1932, 57. Fountain, Leatrice Gilbert. Dark Star: The Untold Story of the Meteoric Rise and Fall of Legendary Silent Screen Star John Gilbert . New York: St. Martin’s Press, 1985. Golden, Eve. John Gilbert: The Last of the Silent Film Stars . Lexington: University Press of Kentucky, 2013. Hall, Mordaunt. "Downstairs: John Gilbert as a Philandering and Blackmailing Chauffeur in a Story He Wrote and Sold for $1." New York Times. October 8, 1932. "John Gilbert in Downstairs," review. Film Daily, October 10, 1932, 10. LaSalle, Mick. Dangerous Men: Pre-Code Hollywood and the Birth of the Modern Man . New York: Thomas Dunne, 2002. "Showmen’s Reviews," review of Downstairs. Motion Picture Herald, August 6, 1932, 36. "The Shadow Stage," review of Downstairs. Photoplay, September 1932, 55. Above: John Gilbert, Paul Lukas, and Virginia Bruce. I think I know what John Gilbert doing with this script he try recast his image as good guy or happy go lucky guy is me or what does he remind me of what kind of bad guy character say John Barrymore or Warren William was play at the time in Gilbert performace I see those two actors sorry that my opinion LOL! Most of what I’ve read about Gilbert mentions that this was the type of character that he really preferred, and why not, it’s an exciting part! You’re right, a lot of heroes had an edge at this time, but I don’t think any of them were purely as self-interested as Gilbert’s Karl. As much as he hints at his past in conversation with Anna, he does more than hint to his darker side when snapping at Sophie the cook. He was just plain nasty to her, and never really redeemed himself. He deserved to drown in that wine vat, but I prefer the big wink we get in the end. I agree, he was excellent! This prove to me that John could play a cad if he really want too really you just want slap him at the end LOL! John Gilbert writes himself his best talkie character. Despite a few individually excellent scenes from co-stars Virginia Bruce and Paul Lukas, Gilbert dominates the film. His Karl lacks the redeemable qualities a 1932 audience needed to accept him, but plays better for modern audiences as an edgy anti-hero.